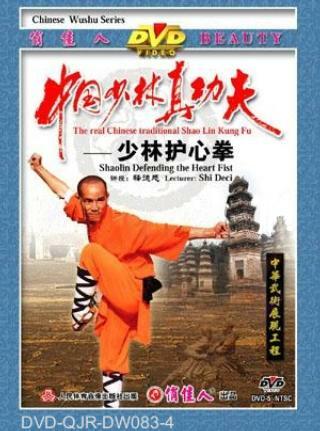 This is a representative routine in the Shaolin Fist series. "Tending the heart," means keeping calm and peaceful, controlling your desires as if sitting still and meditating. The moves are preceded by complete stillness. The change from stillness to move takes place in the blink of an eye. One movement leads to another. Your attacks should be as heavy as Tai Mountain and your steps as light as a feather. Your energy and attention should be coordinates as one. The main techniques are forward lunge, horse stance, empty step, rest-stand step, crouching step, pushing palm, twisting hand, and pat the feet.